March is my birth month, so we are going to talk about me – and you! Let’s take this month to explore who we are, why we are that way, and who we want to be. It’s going to be fun! What could be more interesting than learning more about ourselves? I had a tough time during 2001 and 2002. My mom died in January of 2001, and my husband deployed a few months after her death. My mom had lived with us for 10 years. It was the first time in a decade that my sons and I would be alone. They were 10 and 12 years old. At that time, I led our Family Readiness Group. It was my job to keep more than 300 families informed about what was going on, offer help and guidance, and step in whenever there was an emergency. I gave it my best shot, but didn’t handle anything as gracefully or thoroughly as I could have. The following 18 months was an enormous struggle, and at the end of it, I was burnt out completely. 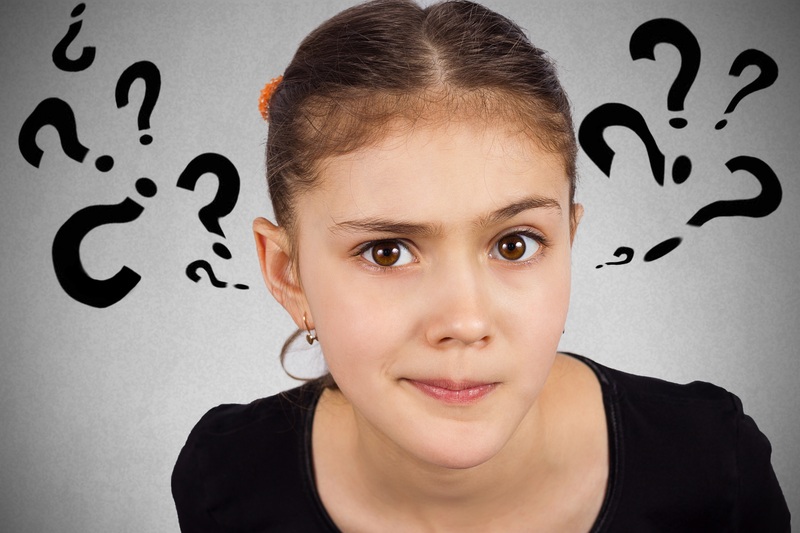 I heard my children saying negative, sarcastic things, and I realized that they were echoing me. I knew I needed to change, but I had no idea how. When my husband came back, we moved to Carlisle, PA. I was still struggling. I’d gained at least 15 pounds, and I wasn’t happy. I thought that I was hiding my sadness and frustration, but one day my husband sat down next to me and said, “You are so unhappy. Do whatever you need to do to find happiness.” I was startled. I thought about his comments for a while, and realized that the problem was that I didn’t know what would make me happy. I decided to find out. The first thing I did was to check in with myself about every activity I did. I would ask myself, “Do I like doing this?” I was surprised to learn that I did not enjoy military spouse activities. I had in the past, so this was a change that I hadn’t noticed. I also had felt that my attendance was at least expected, if not required. Times were different then. However, my husband had said “Do whatever you need to do.” So, I drastically cut back on attending military spouse events. It felt so freeing! It wasn’t hard to figure out what I didn’t like to do. I uncovered those all the time. What I had trouble finding was things that I enjoyed. I discovered that I wasn’t doing anything that I truly liked! I began experimenting with new behaviors, and I went back to some old favorites. I’d always enjoyed walking. So, I started walking more. I also knew that I loved to learn. I joined a group called Facilitating Leadership and Group Skills at the Army War College. The subject matter was all about personal development, and it fascinated me. During this time, I discovered that I loved being up in front of a group leading discussions and teaching new concepts. Thi is where I got my start in leadership training and facilitation. I began to discover then and continue to believe now that we humans like a challenge. We thrive on personal development. 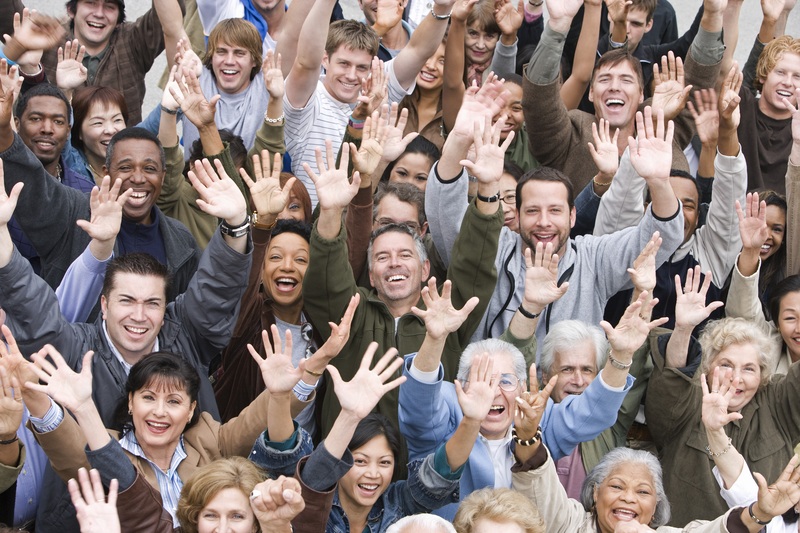 We are happier when we are learning things about ourselves and the world. I recently read an interesting quote in a Harvard Business Review article entitled Shakespeare’s Characters Show Us How Personal Growth Should Happen. The author, Declan Fitzsimons, states that Shakespeare’s plays are riveting because he doesn’t just let us get to know a static character. The characters go through tremendous change and personal development, and we get to watch. 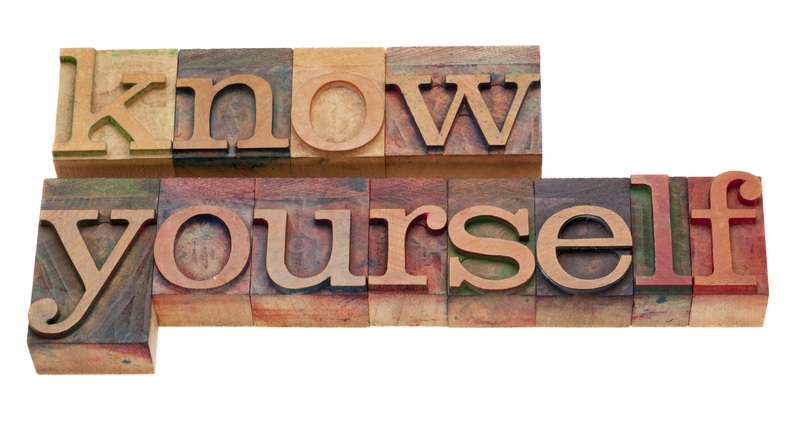 We do, in fact, only know ourselves partially. I am not the only person who is unaware of my preferences, weaknesses, and strengths. Here is a Johari Window which is a model that can be used to help us better understand our relationship with others and ourselves. Any information that I share with someone else is in the Open area. Once I let you know that I wear a size 8 shoe, it’s in the Open region. Hidden items are things that I know, but no one else knows. We all have lots of those! We should have lots of them. We don’t share everything. Unknown items are things that I don’t know about myself and no one else knows either. For example, maybe I could be a great computer programmer and neither one of us knows it. The one that’s interesting is the Blind region. Those are things that other people know about us that we don’t know about ourselves. Perhaps everyone else can see that I am inspirational, but I don’t realize it. Maybe I have a distracting habit of messing with my hair that drives everyone crazy, and I don’t even realize that I do it. 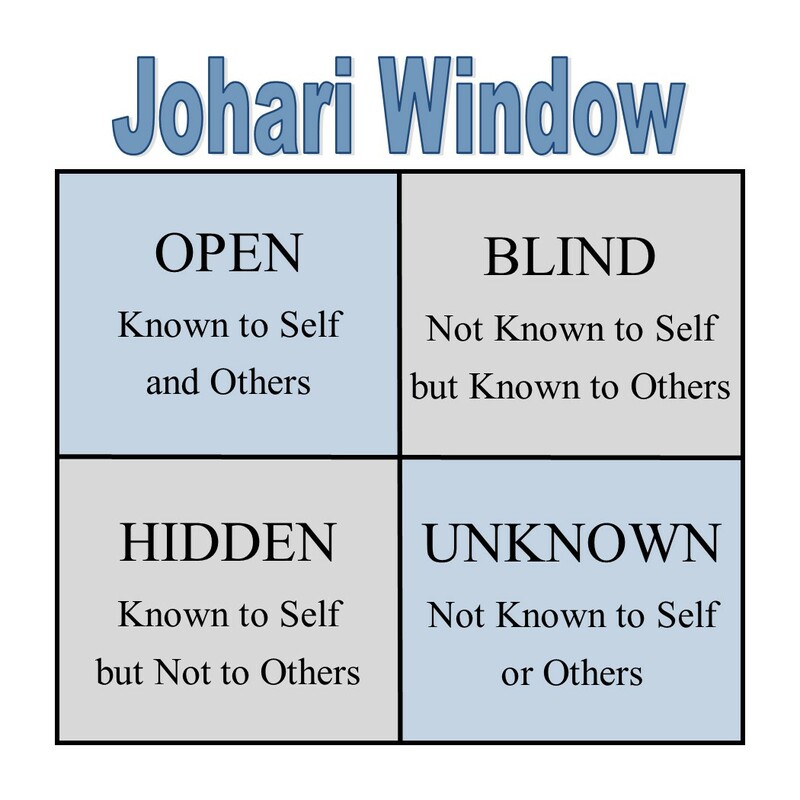 It’s important for all of us to know that we have items in the Blind region of a Johari Window. Some of them are good qualities, and some are not. 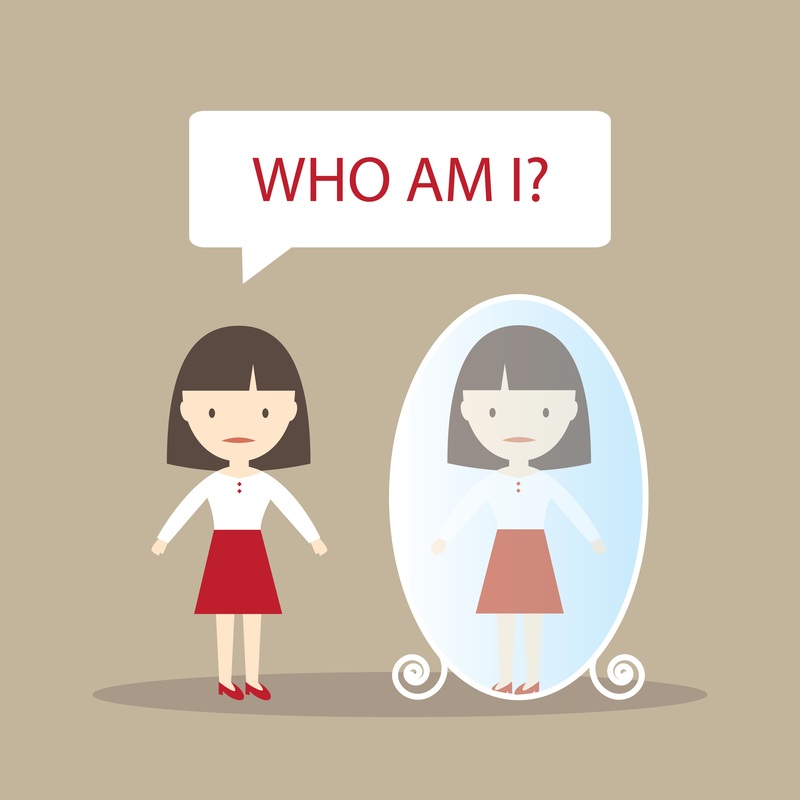 Discovering those things about ourselves is revelatory! The new information can transform us. Like Shakespeare’s characters, we don’t remain static; we develop and grow. We are interesting! Learning about ourselves is a challenge that can be exciting and gratifying. When I began my journey of self-discovery, I felt lost. I didn’t know what I liked, what my strengths were, what I liked to do, or what I wanted to accomplish. This month, I am going to get reacquainted with myself. I hope that you will join me, and we can move a few things from the Blind region to the Open one on the Johari Window. We want to continue to grow, change, and learn because it is a life-long process that keeps us interested and interesting.